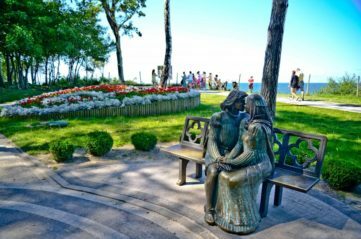 Rewal is a small holiday resort located on Baltic Sea coast, only 53km away from Kołobrzeg and 65km away from Ustronie Morskie. Rewal is great tourist destination because of its wide and sandy guarded beach which is 300m long. You can enjoy beautiful sunrise and sunset on the viewing platform with dimensions of 12,5m. Rewal is surrounded by many bike paths which are great options for those who prefer to spend their free time in an active way. Through road network, you also can discover nearby scenic places and towns. In the short time, you can reach Trzęsacz (2km), Niechorze (5,5km) and Pogorzelica (8km). One of the oldest sacral building in the area. Made of brick, the Gothic-style church was built on the highest hill in the area. By many, it is called Church on the cliff. The church was badly damaged after the accident in 1901 when the part of the cliff slumped together with a northern wall. Over the years waves were destroying further parts of the building. This church became a subject of many legends. The attraction which connects education with pure tourist destination. 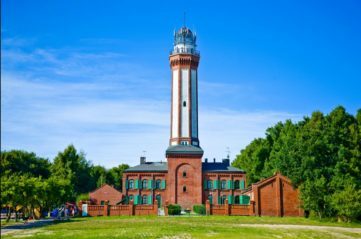 It is located at the bottom of the lighthouse in Niechorze. 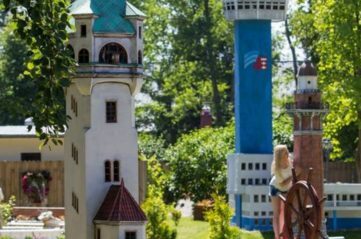 It is a perfect place to get to know the history and see all lighthouses on the Polish coast. Guides can speak in German and English. 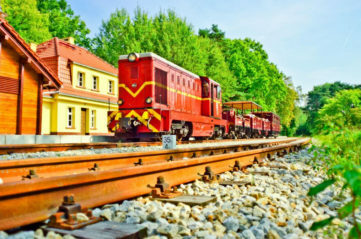 Railway has its origins in 1989 when at the first time train departure from Gryfice to Niechorze. Nowadays there are two routes served by a train Gryfice-Pogorzelica (34,5km, includes 13 towns) and Trzęsacz-Pogorzelica (9,9km, including 5 towns in Rewal borough). 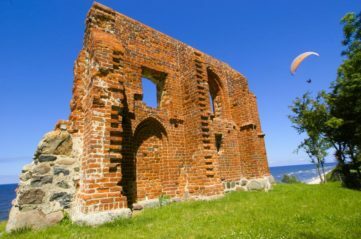 The second route gives the opportunity to discover many monuments and tourist attractions such as Lighthouse from 1866 in Niechorze, Motylarnia, and Ruins of the church in Trzęsacz. 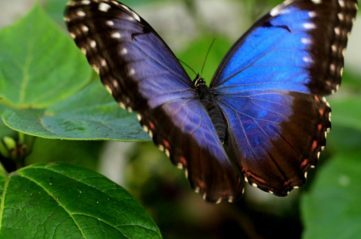 A place to admire freely flying butterflies and to find fascinating information. Motylarnia offers hundreds of exotic species at your fingertips. 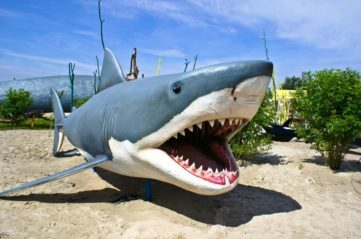 A perfect attraction for families with children. Measuring 45m building made from red brick was erected on the cliff. An observation deck is located at an altitude of 37m from where you can reach a stunning view of Rewal’s coast. By many, this lighthouse is considered to be one of the most beautiful construction on the coast. The greatest tourist attraction about marine matters. It is located in Rewal. Park has at its disposal more than 100 fish and mammal models of the original size. In addition, there is a scale model of pirate camp. The main attraction of the park is the 35m long blue whale. Place recommended for families with children. The exhibition is located on the first floor in Dworzec Wąskotorówka on Dworcowa Street 21 in Rewal. 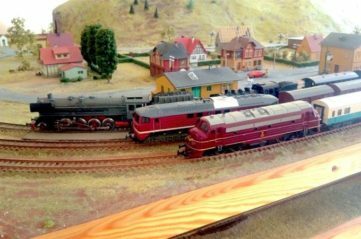 On the exhibition, you can find two big models with moving rolling stock. A total length of railway tracks exceeds 50m. It contains more than 850 historic as well as modern pieces of the exhibition from all around the world. There is special play space where children can control chosen trains.